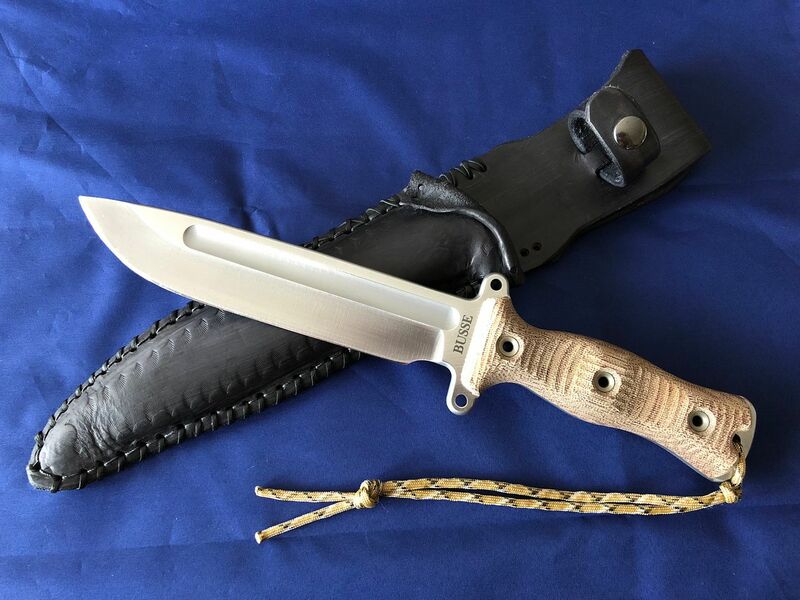 Discussion in 'Busse Combat Knives' started by gdog363, Apr 14, 2018. I just can’t remember who the person is on the forum that makes the sheaths that look like Daryl’s “homemade” one he had in the show. Could anyone tell me? lex2006, PeteyTwoPointOne and Midwest Firecraft like this. David makes one out of gen-u-wine Zomby hide! mhawg and tom jones like this. mhawg, tom jones and PeteyTwoPointOne like this. 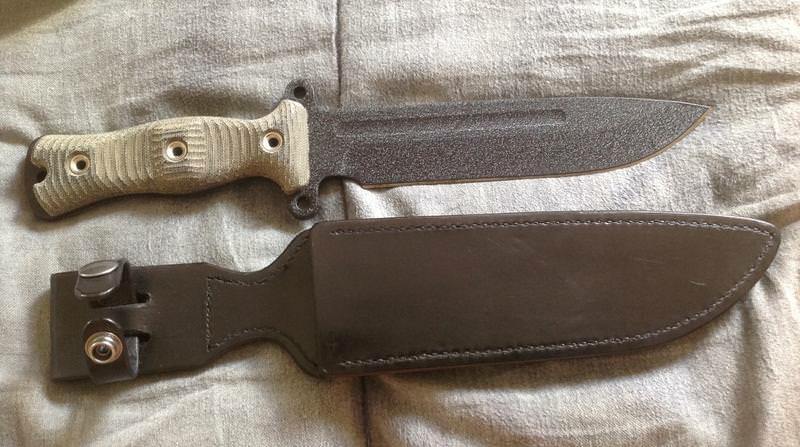 BF member Leatherman has made some awesome Walking Dead Tribute Sheaths in the past. They look just like the one that Daryl kept his TG in before it mysteriously disappeared. I bought one and they're well made, sturdy and fit the knife perfectly. Does he still produce them? I got mine in August of 2016 so I'm not sure. Why don't you PM him and ask him? But I’m glad I was able to snag one before he stopped making them. It was made to look like the leather was worn on top with few stitches missing. Fits the Team Gemini LB, BG and A2s. I though RainWalker made it? It’s been at least couple years, I had to look it up on my eBay history lol. If you want a sheath for a TGLB just get a good leather sheath. Daryl lost his back in season five. Get something with good stitching. 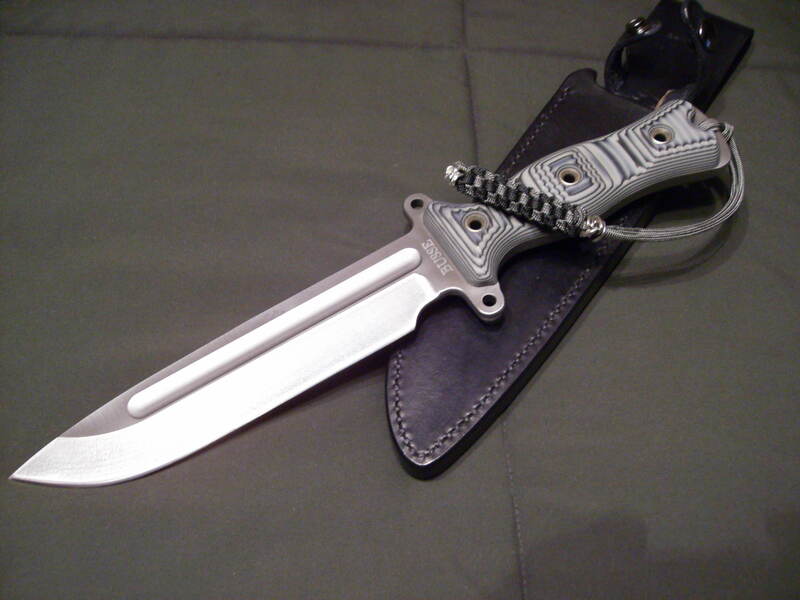 Pretend its Daryl's sheath. Thank you! I appreciate the nod! Yes, I am working on two right now, I can add one more and cut leather today if you say the word. 6850, stjones, LizaMari and 1 other person like this. Leatherman, can you add me on that list too? Mrs. Leatherman did an awesome hand stitching on mine. Andster2, stjones, KNIGHTENFORCER and 2 others like this.